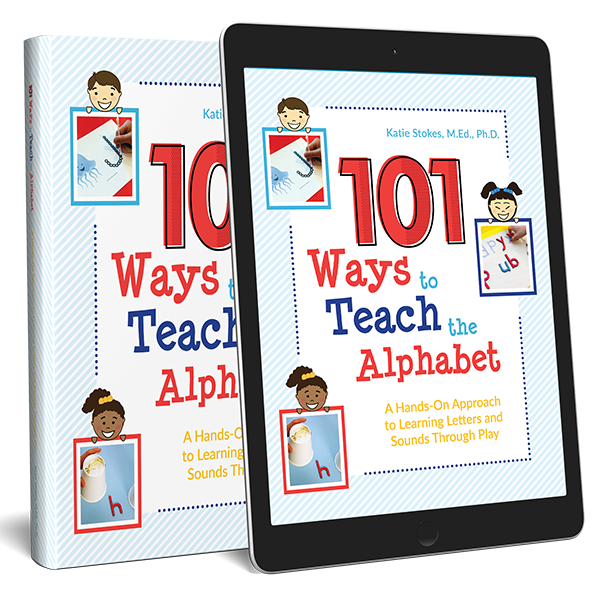 The next installment in my 101 Ways to Teach the Alphabet Series uses a popular item in our household: Wikki Stix! If you aren’t familiar with Wikki Stix, they are flexible sticks of wax-coated yarn that can be shaped into endless different forms. They easily stick to paper or to each other, but require no glue and leave very little mess to clean up. 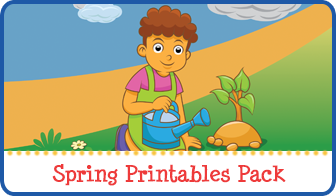 They are reusable and unbreakable, but they can be easily cut with scissors. 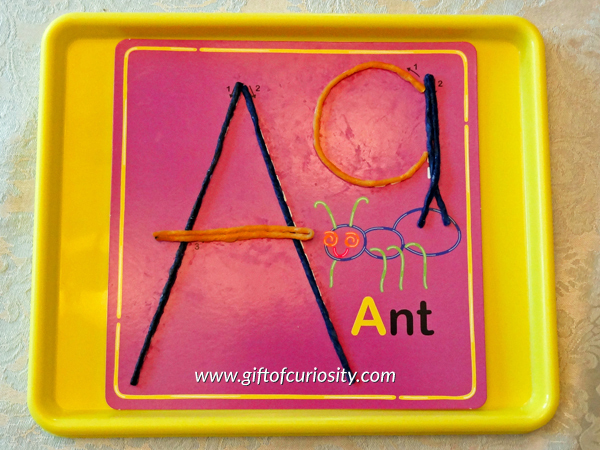 And best of all, Wikki Stix are a great tool for kids who are learning to write their letters! 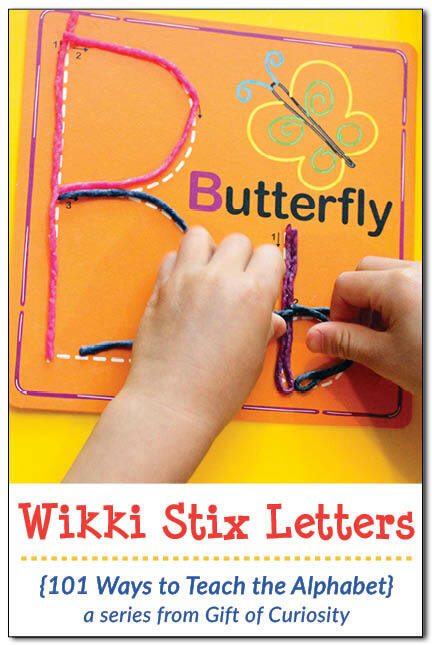 I purchased a set of the Wikki Stix Alphabet Fun Cards for Learning. 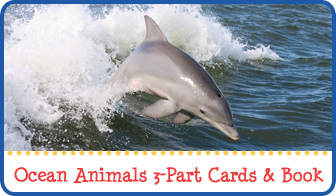 This set includes 26 colorful cards for every letter of the alphabet along with specially sized Wikki Stix that can be used to trace the uppercase and lowercase letters on the cards. 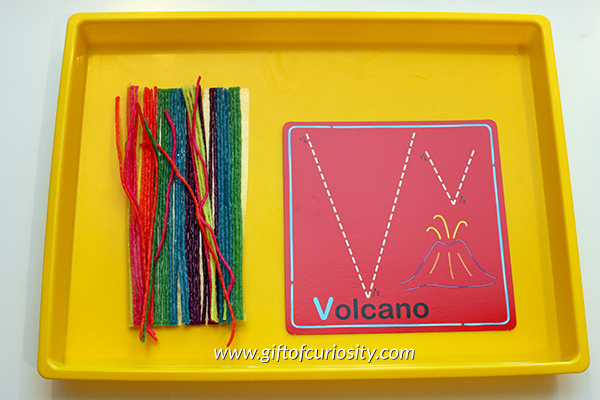 Below you can see a Wikki Stix tray I set up for XGirl practice the letter V.
Both of my kids have enjoyed using these cards. I encourage them to use their Wikki Stix to trace the letters in the same stroke order they would use to write the letters with a pencil. 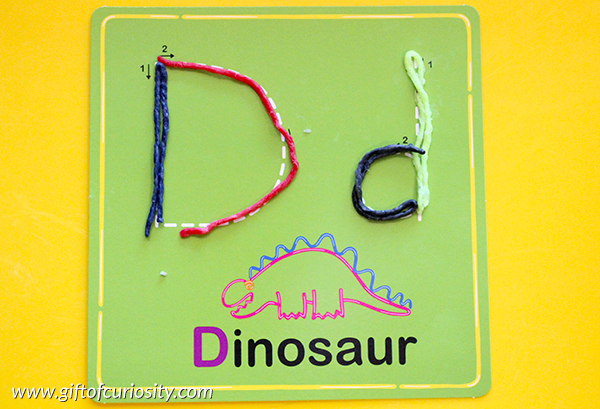 My kids really get a fine motor skills workout while tracing the letters with their Wikki Stix. XGirl loves to do several cards at a time and show them to me as a “collection.” She also likes to put them in alphabetical order when she is done! 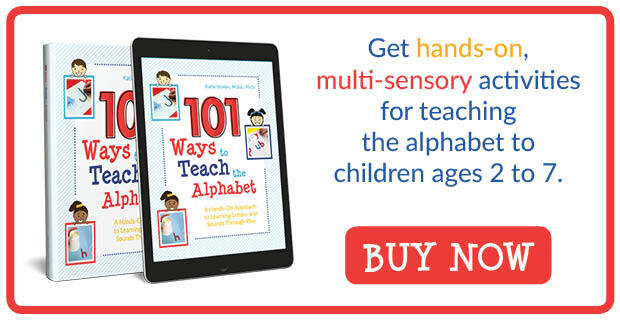 You can find the Wikki Stix Alphabet Fun Cards for Learning at Amazon. 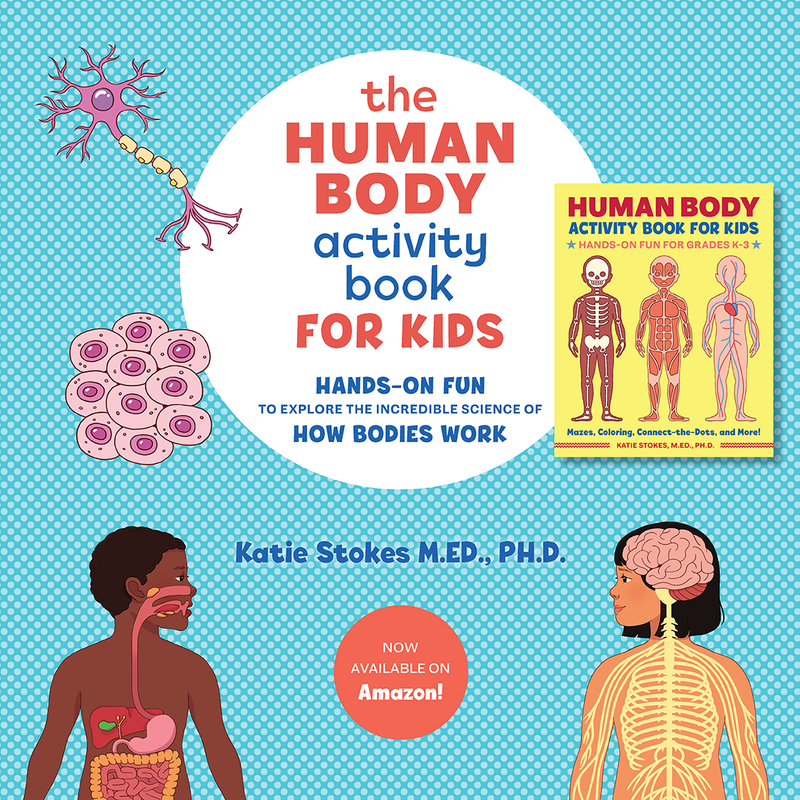 Or purchase the Wikki Stix rainbow pack or the Wikki Stix neon colors pack (neither pack includes the letter cards) and have your kids create letters on a separate tray or sheet of paper. 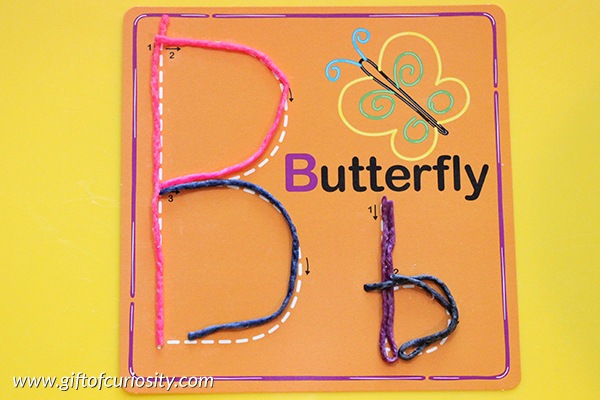 And if you like using Wikki Stix to learn letters, you might enjoy using them to learn shapes as well with my Wikki Stix Shape Tracing activity! 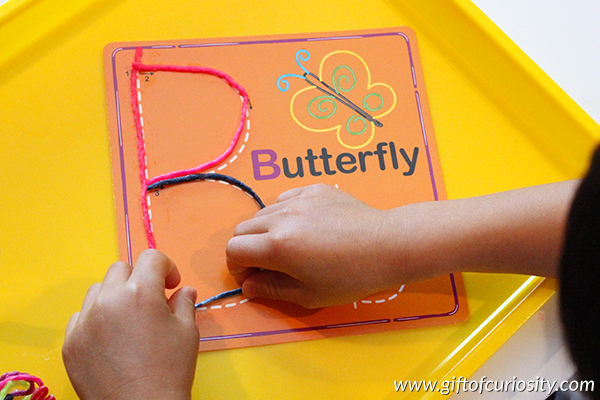 What a great way to teach a child to write their letters. You could trace out their name and use them as well. 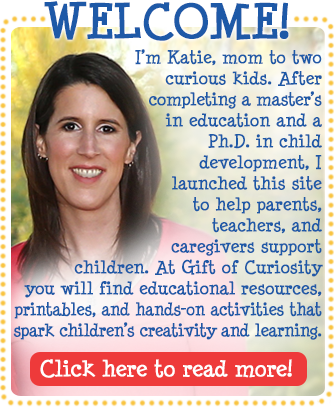 Thanks for sharing your link at Thoughtful Thursdays link party.